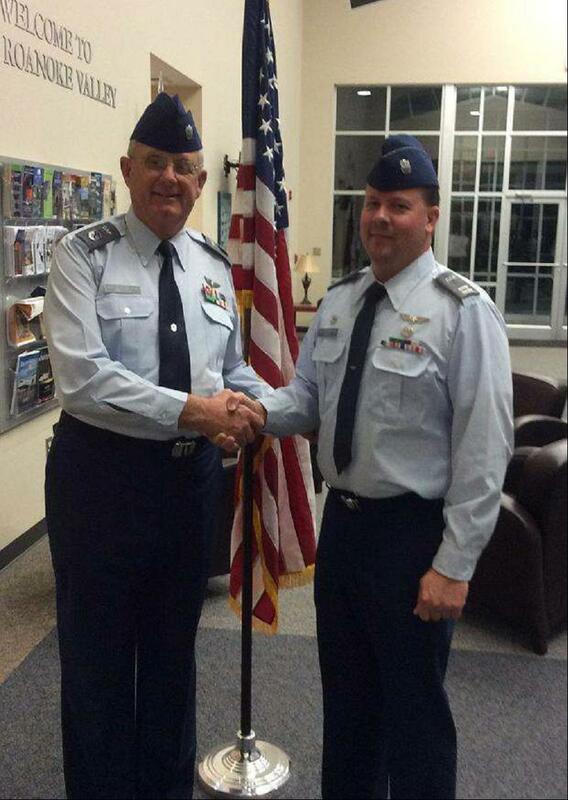 8/19/2014–Roanoke Rapids, NC– Halifax Composite Squadron MER-NC-169 senior member Senior Master Sergeant Stephen P. Madison was promoted to Chief Master Sergeant (CMSgt). He is the Safety Officer and Drug Demand Reduction Officer at NC-169 along with Group 3 NC-003 Safety Officer. He also has other ES qualifications such as Mission Observer/Scanner and Flight Line Supervisor. He has been a member since May 2009. Under the new NCO program, promotions are now available to CAP NCO's. Chief Madison enlisted in the USAF in September 1966. After basic training he attended the C-130 Airframe Technician school at Sheppard AFB Texas October 1966 to March 1967. After Sheppard, he was sent to Taiwan CCK Air Base, not far from Vietnam, to repair combat damaged aircraft. He also served as fight line marshaller. While there he implemented many safety regulations and inspections. Leaving Taiwan April 1968 he returned state-side to Langley AFB, Va. and was attached to 37th TAC air squadron. His flying status was Asst. Crew Chief and Crew Chief. He flew all over the United States and Europe. Again, he performed maintenance and safety inspections on aircraft with the dangerous jobs of refueling aircraft, loading cargo and filling oxygen systems with liquid oxygen. He flew several hours ( 8+ hours a day,) three to four times or more per week that required many safety inspections, which was his responsibility as crew chief. Discharged Sept. 16 1970. After his active duty tour in the Air Force he moved on enlisting in the USAFR where he joined the 916th CES squadron at Pope AFB, NC. 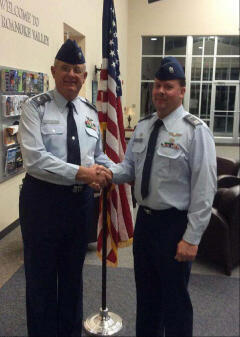 He retired as E-8 SMSgt as infrastructure superintendent where he had five shops and five supervisors. He had to implement many safety regulations as well as many on-site inspections to insure safety regulations were being implemented. He had at least 6 over seas assignments while in USAFR. He retired Dec 31 1995. He joined Kapstone Paper in October 1972 and was selected to attend a five year Maintenance Apprentice program in January 1975 and graduated in 1980 with a "A" Class Maintenance Employee Journeymen Certification. During this time, along with his regular duties as Electrical & Instrumentation Tech, he was instrumental in safety inspections and writing safety regulations until he retired in May 2009.